Inhalers are a common choice for treating childhood asthma, and they’ve been shown to be effective at helping kids manage the condition. However, keep in mind that not all children (especially young ones) will be able to properly operate one. Metered dose inhalers require users to simultaneously activate the device and inhale, and this task can be difficult for younger children who haven’t developed the coordination skills necessary to do this. In these cases, choosing a dry powdered inhaler may be a better option, as they only require the child to give a quick, deep inhale. 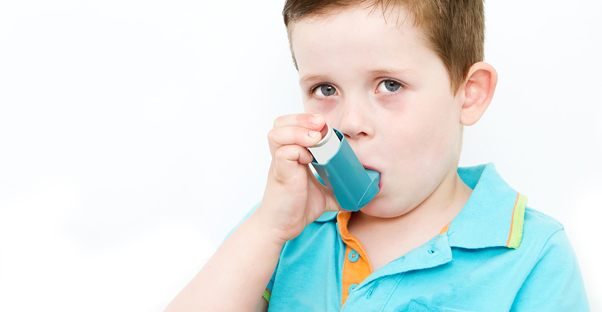 While mastering the techniques necessary to use an inhaler may take a little practice for children, once they’ve grown accustomed to the devices, operating them shouldn’t be any problem at all. A family history of allergies and asthma can affect the severity of childhood asthma as well as the possibility of outgrowing the condition. Smoking in the home can aggravate asthmatic symptoms and should be avoided. If allergies are a factor in your child’s asthma, you may need to take steps to remove pet dander, dust and other allergens from your home in an effort to manage your child’s symptoms. Remember that exercise is an important aspect of your child’s overall health, and once your child’s symptoms are under control, it is vital to encourage regular, healthy activity.